Charles Kranstuber has been practicing the area of workers' compensation since 1982. He is a graduate of the Ohio State University where he received a Bachelor of Arts in Political Science. He received his law degree from the University of San Diego in 1979. He is a member of the Ohio State Bar Association, the Columbus Bar Association, and the Ohio Academy of Trial Lawyers. Upon graduation from the University of San Diego, he was employed by the Ohio Industrial Commission as a district hearing officer. The Industrial Commission is the state agency which handles the adjudication of contested matters in the workers' compensation system. 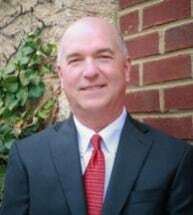 After several years with the Ohio Industrial Commission, he was employed as an associate attorney at the law firm Agee, Clymer, & Morgan, where he worked through 1994. He then was hired by the law firm of Livorno & Arnett, where he served as a partner through 2006. Since that time, he has established his own law office, where his practice continues to consist of representing injured workers before the Ohio Bureau of Workers' Compensation and Industrial Commission of Ohio. Charles Kranstuber has also been active in politics and local government. He served for 12 years as a city councilman in the City of Dublin and also served for 6 years as the mayor of the City of Dublin. In 2006, he was appointed by the governor as the injured workers' representative to the Workers' Compensation Oversight Commission, which is responsible for the Ohio Bureau of Workers' Compensation. The Oversight Commission's duties include making recommendations regarding premium rates, investments, and setting the rules and policies of the Bureau of Workers' Compensation. Charles Kranstuber has been dedicated to serving the needs of injured workers in Ohio for over 25 years. He recognizes the deep trust placed by his clients and will strive to uphold that trust by working hard and fighting hard for you. The Law Offices of Charles W. Kranstuber, LPA, in Columbus, Ohio, represents injured workers in Columbus, Lancaster and throughout Franklin County and beyond.